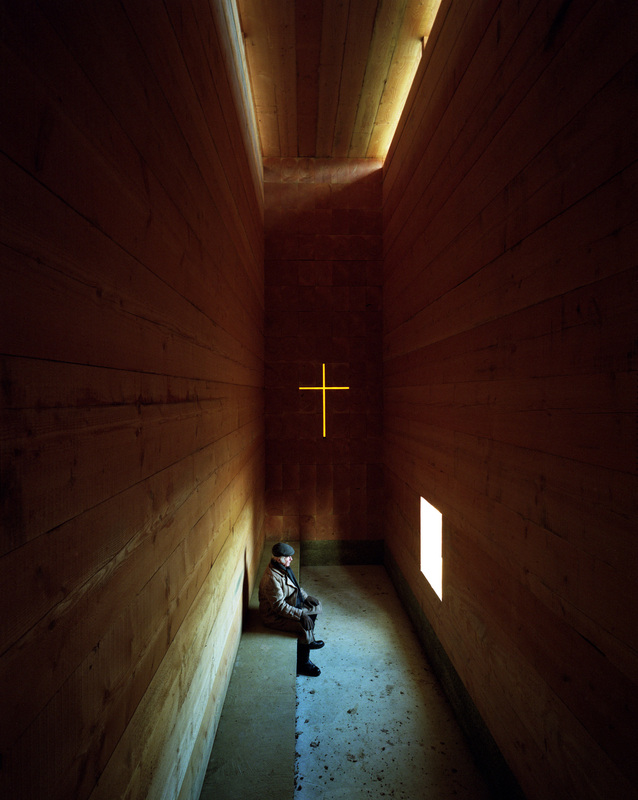 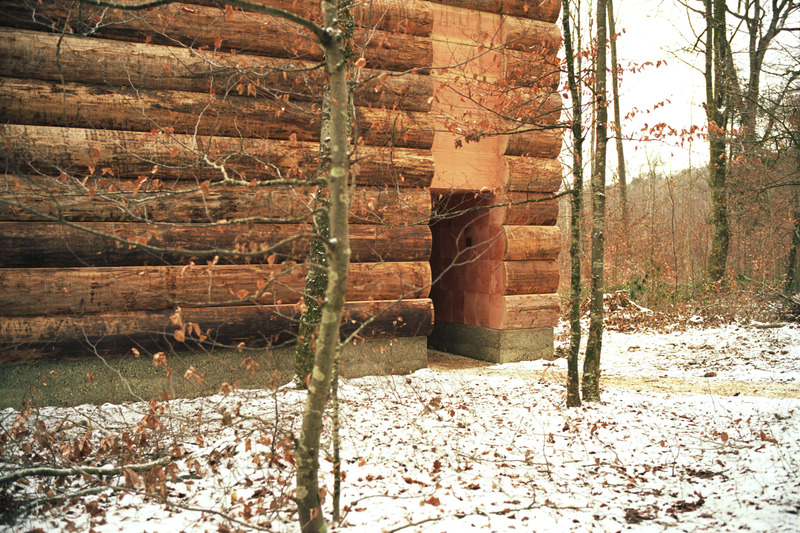 A small path leads to the chapel’s entrance, located at the transitional point between woodland and open ground. 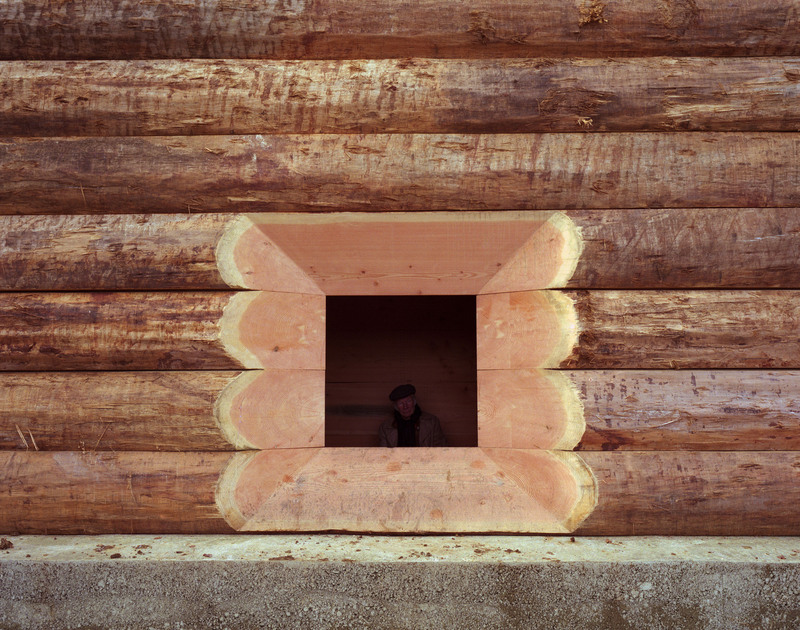 The architecture is framed as the simplest of gestures. 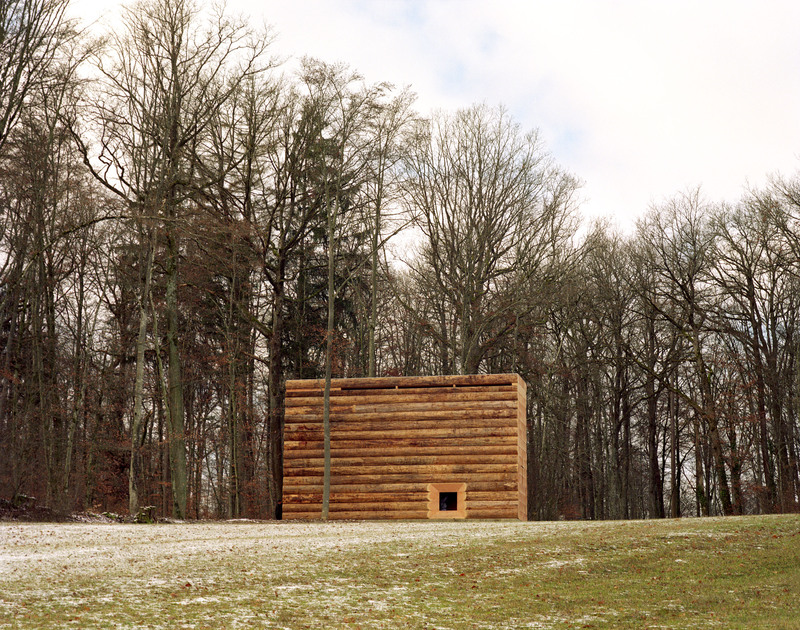 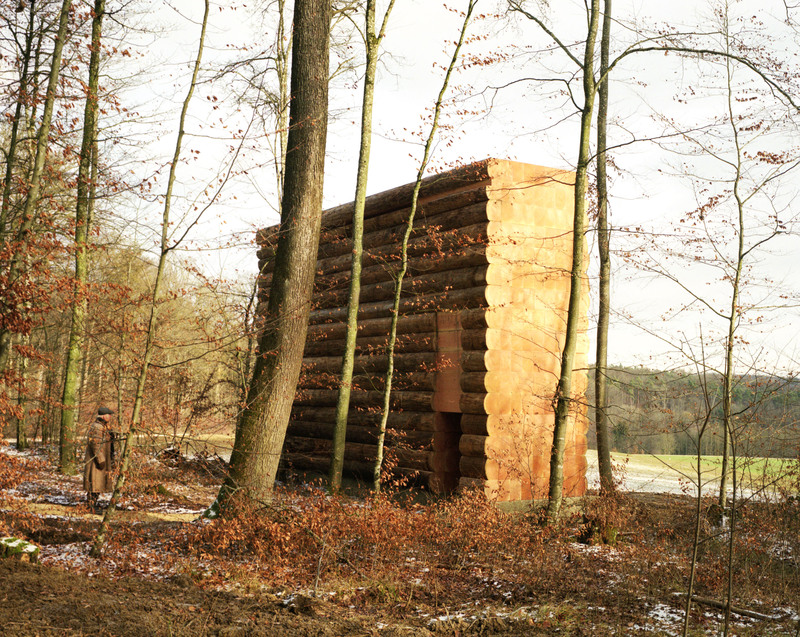 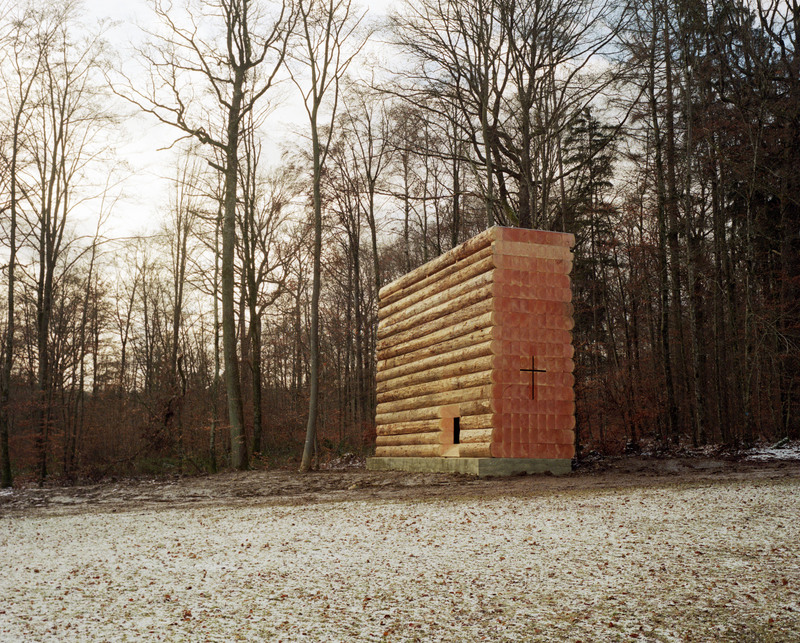 From certain perspectives its mass appears as a pile of logs stacked up to dry; from others the considered placement of the elements on a concrete plinth creates a more formal impression of a piece of sculpture emerging from the forest. 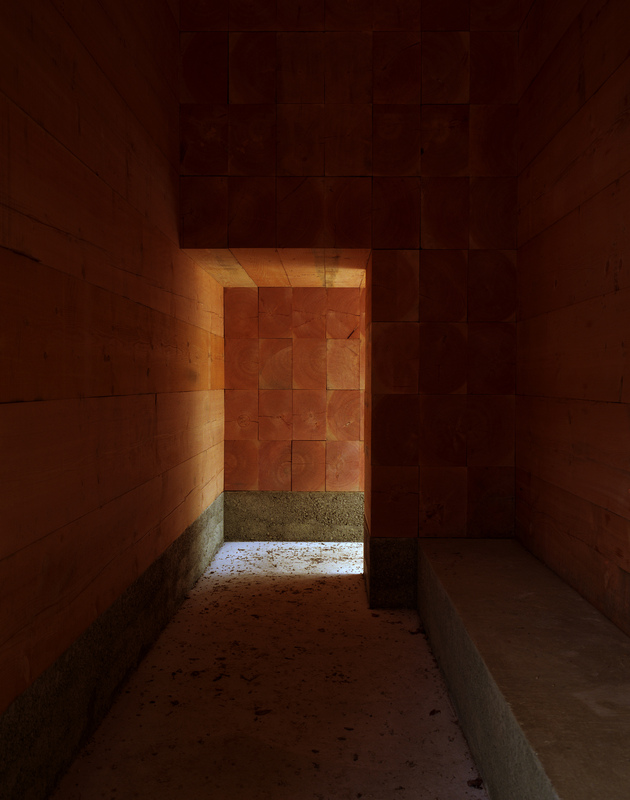 The purposefully narrow entry maintains the sense of physical proximity encountered as one moves through the dense trees, adding visceral and visual theatre to the exhilarating experience of passing into an attenuated space over seven metres high and nearly nine metres long.